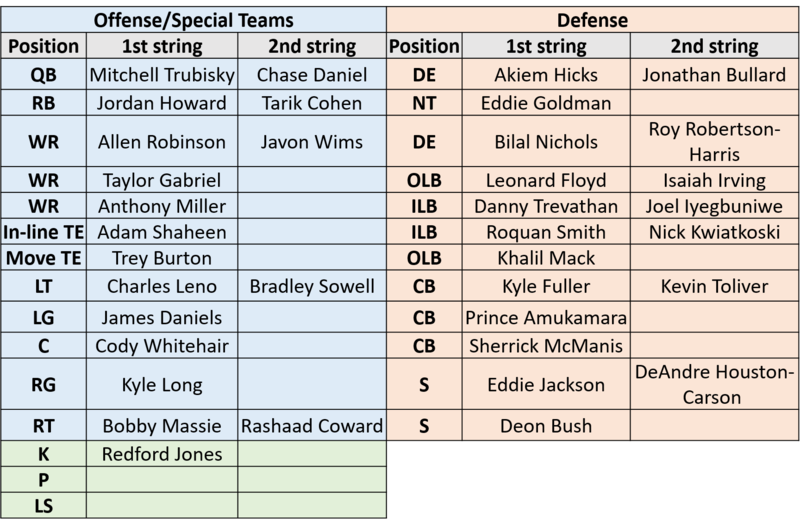 In 2016, outside linebacker was considered a strength for the Bears after Lamarr Houston, Willie Young and Pernell McPhee combined for 20.5 sacks. Ryan Pace drafted Leonard Floyd in the first round. In 2017, the Bears overpaid Mike Glennon and raved about his upside (“fired up”). They signed Mark Sanchez as a competent backup. Ryan Pace drafted Mitch Trubisky. Those moves weren’t about value dropping to them. They weren’t about “best player available”. In both instances, Pace traded up for the player and surprised many by drafting what wasn’t considered a need. The lesson is clear. How the Bears identify their needs is not necessarily how the media and fans identify them. And it isn’t just the first round. The Most Important Question Facing the Bears: When Does Trubisky Play? 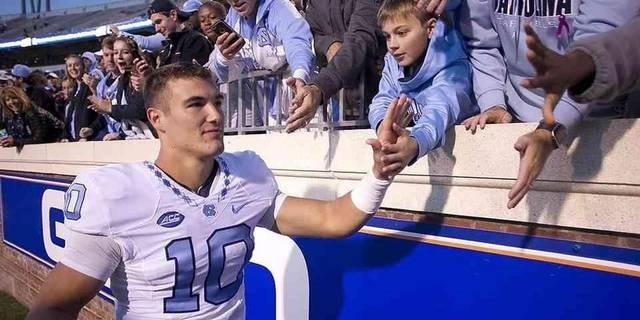 The future of the Chicago Bears is now Mitch Trubisky, quarterback, North Carolina. That’s it. They will continue developing a top defense and beefing up their rushing attack but the organization’s future is 6’3″ and has a last name made for the Windy City (although he should probably change it to Trubiski). Now the question…when does he play? And all coverage of the 2017 Chicago Bears will center around that question. The offseason program will be about Trubisky’s grasp of the system. Bourbonnais will be about Trubisky’s leadership and execution. Preseason games will only get exciting once Trubisky enters. And the regular season will either be a year-long learning curve for the Tarheel or a week-by-week will they won’t/won’t they for the John Fox and the coaching staff. The 2004 Giants did it right. With Kurt Warner on their roster and a newly-drafted Eli Manning, they gave Warner a shot to win games. After half the season they knew that wasn’t going to happen and they handed the keys of their franchise to Manning. He struggled mightily in his rookie campaign, going 1-6. He wouldn’t have a losing record for the next seasons. The Bears have chosen their franchise quarterback. The rebuild doesn’t truly begin until he sees the field. Poll: What Position Most Concerns You After Free Agency & the Draft?